Founded in 2015 by former GB athletes, Lee Forster and Charlie Turner, Neat Nutrition was born to deliver premium quality and great-tasting active nutrition, for everyone. 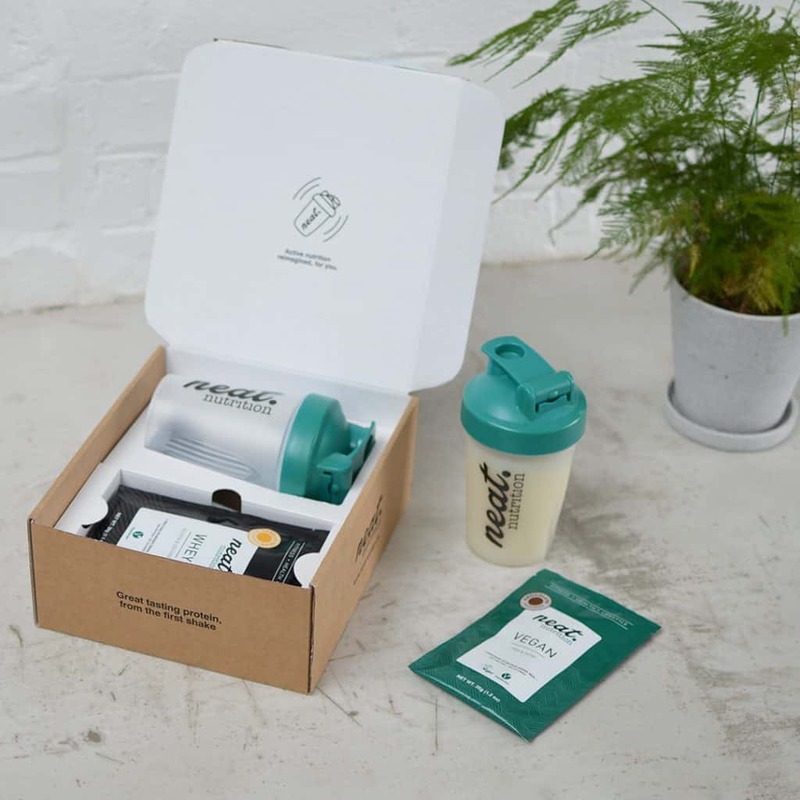 In 2019, Neat evolved to offer their well-loved protein powders on a subscription basis, with fully customisable plans, managed by you. When signing up and becoming a member, you choose from homegrown vegan (pea and hemp blend) and grass-fed whey protein powders. Select your preferred shipping frequency, change the protein blend, and cancel whenever you like. 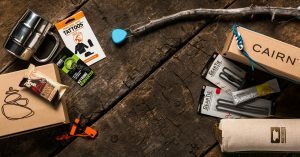 Get started and try Neat with their introductory risk-free offer; a Protein Starter Box, priced at just $7.95 (RRP is $19.95). You’ll receive your four preferred protein sachets as well as a shaker, and is inclusive of free shipping. 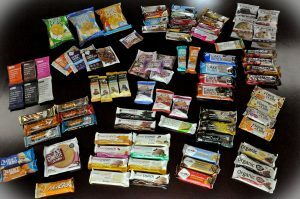 The ongoing Protein Subscription Box is $28 for your choice of 12 single-serve protein sachets. 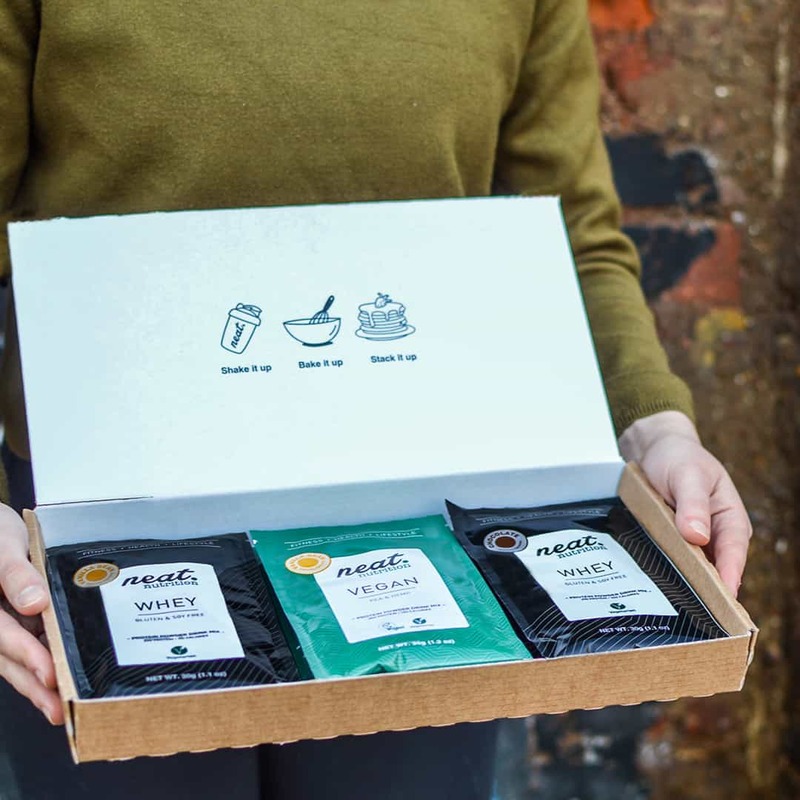 Boxes are fully customisable; change your protein blend and flavours whenever you like before your next delivery, which is delivered direct to your mailbox. As each protein sachet is a single serving, the proposition makes Neat Nutrition the ultimate in convenience, simplifying the consumption of high quality protein whilst you’re on the go. 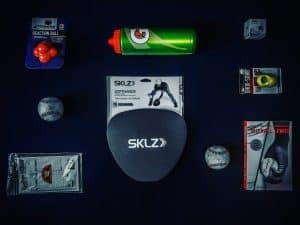 It’s never been easier to take your protein powders with you to work, to the gym and as you travel. Think outside the tub! 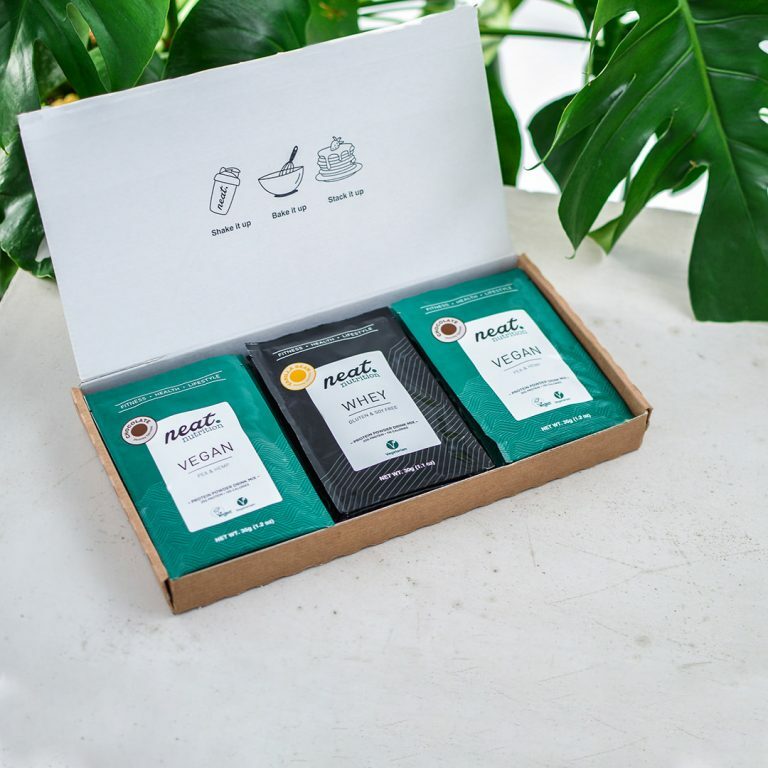 How would you rate Neat Nutrition ?